Somer and Areeb Umeed Bakhsh said they were “terrified” that they would be targeted by Islamic extremists if they and their parents, Maqsood and Parveen, are not granted asylum. Speaking on World Refugee Day, the brothers, who are 15 and 13 respectively, said this country was their home and they identified as Scottish. 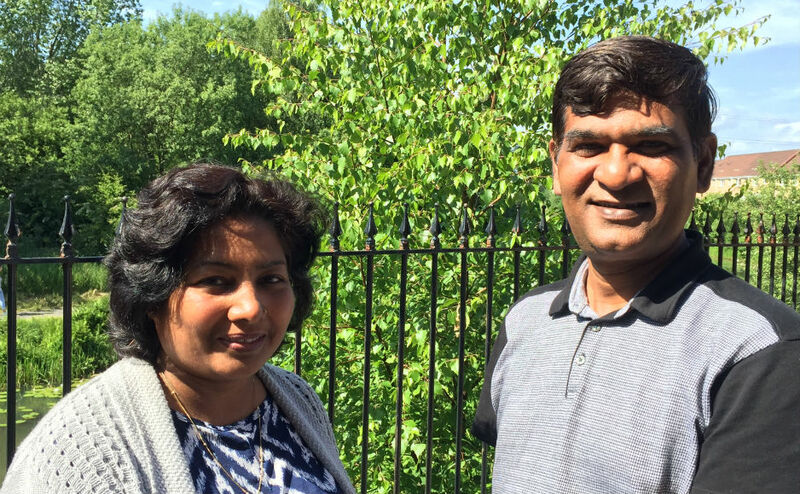 The Bakhsh family fled Pakistan, where Christians are persecuted, in 2012 and have spent the last six-years seeking sanctuary in Glasgow. Paul Sweeney, MP for Glasgow North-East, said it would be “inhumane” to deport two teenagers, who are effectively naturalised Scottish boys. He has urged UK Immigration Minister, Caroline Nokes MP, to give the Bakhsh family permission to stay in the UK while the Home Office urgently re-examines their case. Somer, who is studying five Highers at Springburn Academy in Glasgow and hopes to be an astrophysicist when he is older, said: “I love Scotland and I do not want to go back to Pakistan. The family are members of Possilpark Parish Church in Glasgow and Somer is involved in a national committee of the Church of Scotland, which is seeking new ways to engage with children and young people. He has a wide circle of friends and enjoys playing football, cricket and the guitar in the school band. Somer recently won the Eton Glass for Technology award at Springburn Academy and he and other award winning pupils have been recognised in a motion lodged in the Scottish Parliament by Maryhill and Springburn MSP Bob Doris. Areeb, who plays the same sports and has a passion for art and astronomy, said: “I am so happy living in Scotland and I am scared to go back to Pakistan. “I am so happy living here, I am getting the right education and our lives are not under threat. “I have spent most of my life in Glasgow and consider myself a Scottish boy. The family, who have been living in limbo for six years, have been told by the Home Office they have now exhausted the asylum seeking process and have no right to appeal. Mr Sweeney, said:"I have met the family and was disturbed to learn that they are at risk of deportation to Pakistan where they have already faced discrimination and very real death threats for their Christian beliefs. Mr Sweeney said the family have so much to offer to Scotland. 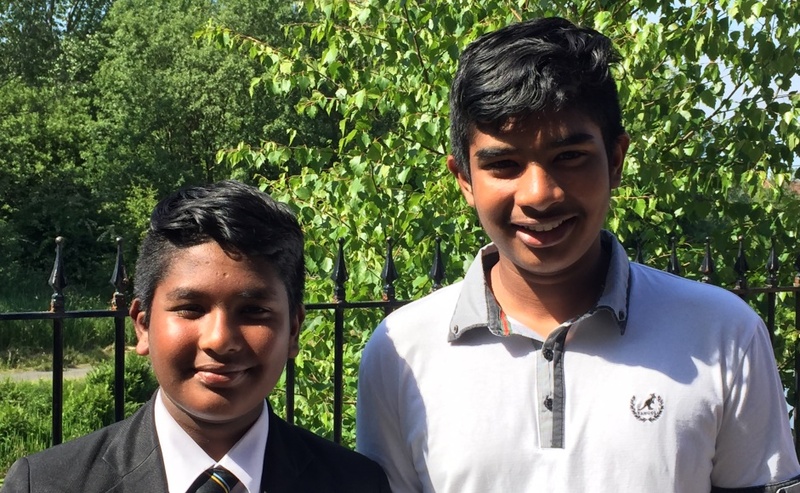 "I met Maqsood's sons again when I presented them with multiple excellence awards in front of their family, teachers and friends at Springburn Academy and they told me of their aspiration to study at Glasgow University. "They are in every respect naturalised Scottish boys, having lived here for more than six years now and quite apart from the dangers they would face, it would be inhumane to deport them to a country they have barely any memory or knowledge of. 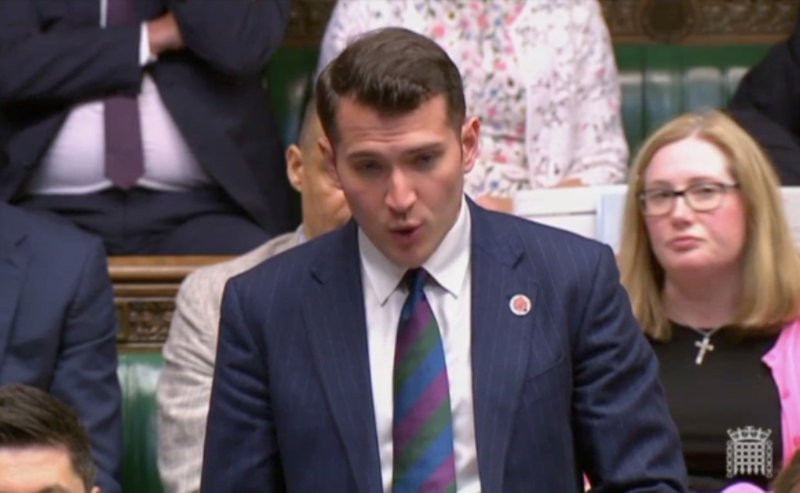 "I have written to the Immigration Minister asking her to grant the family leave to remain in the UK while the Home Office re-examines their case as a matter of urgency." Minister, Rev Linda Pollock, described the family as “leading lights” at Possilpark Parish Church and said the situation facing them was “unconscionable”. The Church of Scotland actively welcomes and supports refugees fleeing persecution. World Refugee Day and Refugee Festival Scotland (June 15-24) is about standing in solidarity with refugees worldwide and calling on governments to do more to support refugees and people seeking international protection. Scottish Faiths Action for Refugees, which the Kirk is a member of, has produced resources to help congregations respond through their worship and prayers. Steve Aisthorpe, acting Refugee Co-ordinator of Scottish Faiths Action for Refugees, said: "Faith groups in Scotland have a long and rich heritage of working with and for asylum seekers and refugees. "In 2015, when the scale and horror of the global refugee catastrophe hit the headlines, the Church of Scotland resolved to establish a refugee co-ordination project. "Since then we have become a network of more than a dozen Christian, Jewish, Muslim and Interfaith organisations, working together in prayer, practical action and concerted advocacy." Mr Aisthorpe said the New Testament word translated ‘hospitality’ literally means the ‘love of strangers’. "Followers of Jesus Christ are to ‘be eager to practice hospitality," he added. "Inspired by that kind of love, we seek to harness and guide the outpouring of goodwill across Scotland and to challenge any rhetoric or actions which demean or exploit refugees or asylum seekers. "As well as supporting individual cases like those of Somer and Areeb Umeed Bakhsh and their family, we are also working with an All-Party Parliamentary Group to improve the training of Home Office caseworkers to ensure that those claiming asylum on the basis of a well-founded fear of religious persecution receive the protection and support they need."